This post about Meal Planning is my #3 most popular post of all time. 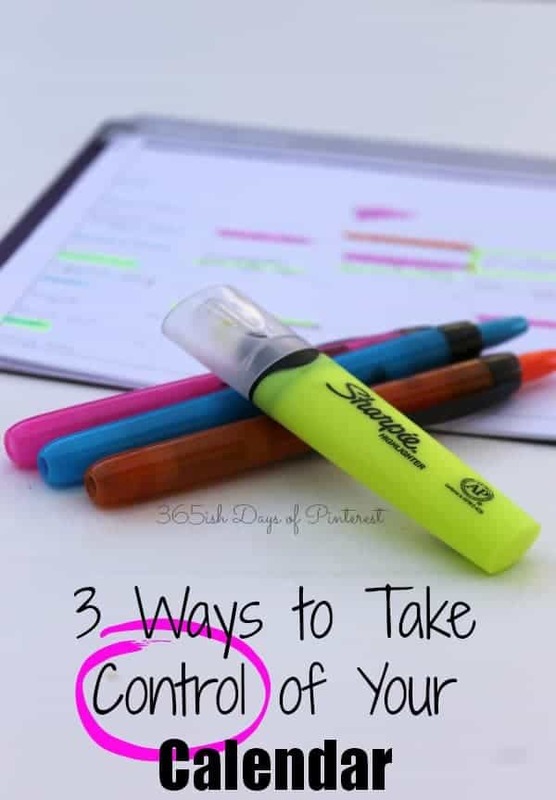 I find it especially handy when January rolls around and I’m focusing on getting organized for the new year! Today I am pleased to be hosting a guest blogger, Amy, from Lissiegirl Blogs. She’s a mom of 4, homeschool maniac and quilter. Well, I’m sure she’s much more than that 🙂 For example, insanely organized when it comes to binders and notebooks! 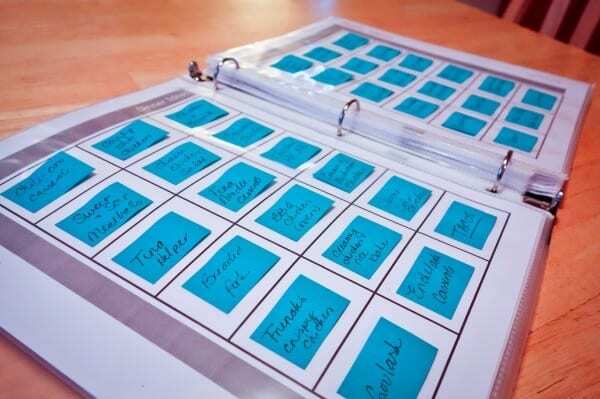 She recently completed a new binder designed to make meal planning quick and easy and is going to share it with all of us today! Having a baby changes everything! Most notably, time. Well, when the ladies from church stopped bringing dinners, and after all of the frozen meals had been consumed, it was finally time to hit the grocery store. Then that lack of time became blatantly obvious. Gone were the days of curling up with some tea, the laptop and a notebook, and taking my sweet time. Helloooo to scribbling the same ol’ ten meals on a 3×5 card while the baby “sleeps” and hoping I remember all the ingredients – and everything else I need-while at the grocery store! No, really, that happened!! lol! Yeah, after that fiasco, I told my husband there had to be a happy medium. I needed a way to come up with a varied, tw0-week menu of decent meals, in a quick and baby-on-the-hip friendly manner. Wouldn’t you know it, there’s a pin for that!! 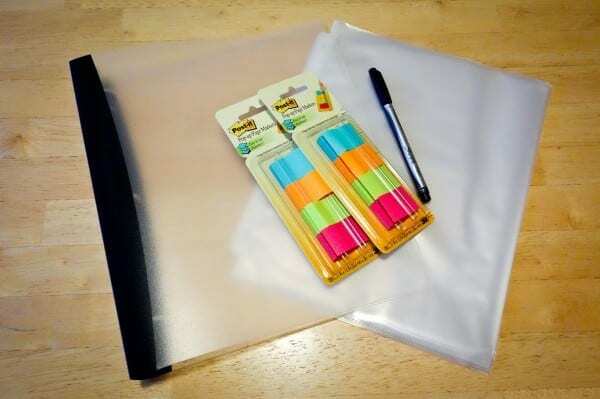 Not only does it save me LOADS of time, but it keeps us from eating the same thing over and over, and it satisfies my obsession with planners and binders – bonus! So, I went to the original blog, Homemade By Carmona, downloaded the templates, tinkered a bit, and came up with my awesome Meal Planning Binder. Download the templates from Homemade by Carmona here. Step Two: I went to Homemade by Carmona, downloaded the pages & customized them to my preferences. 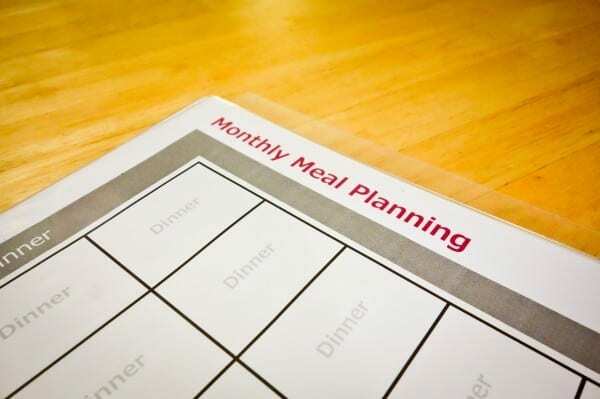 For instance, since there are 36 spaces to the 2-page spread, I took the “Weekly Menu” page & printed out one that says “Monthly Meal Planning”. That way, when I start Once-A-Month shopping, I have a section to plan out for the entire month. I also removed all of the “sub categories” from each of the pages….I’m not *that* OCD. lol That’s what’s so great about this – it’s completely customizable! You can even change the type & color of the font! Have fun with it! Step Three: I grabbed my favorite recipes! 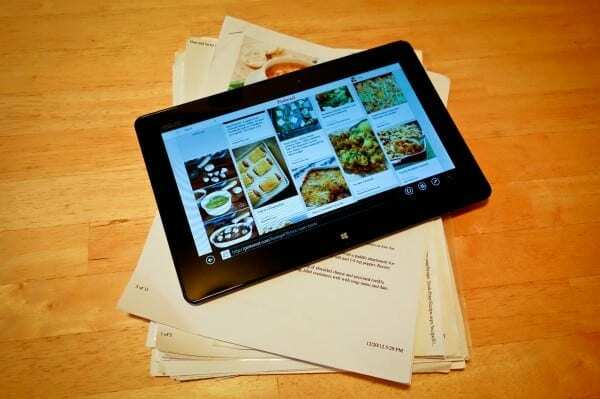 I keep a stack in my cookbook cupboard and, of course, my boards on Pinterest. Step Four: Start filling in the binder! I simply wrote the name of each recipe on the post-it and placed it in it’s correct section. The photos above & below are my “Dinner Ideas” section. I color coded them to keep them organized. Blue for normal stove-top or oven cooking, orange for crock-pot meals & yellow for soups. I also have a page for breakfast (yellow) & a page for lunch (pink). Here’s my “Dessert Ideas” section. Once the post-its were all filled in, the rest was so easy! All I had to do, was take the post-its from the “Menu Idea” pages and transfer them to the “Weekly Menu” section. (Each page is one full week of Breakfast/Lunch/Dinner spaces.) I did one week at a time, grabbing breakfast post-its, then lunch, then dinner, and then did the same, on the other page, for the next week. How easy is that?! VOILA! The finished product! You can see why the color-coding helps. There is zero confusion as to what type of meal you are preparing! So, what used to take me at least an hour, literally took less than a minute! Incredible!! Well worth the time & effort of creating the binder. AND since it’s completely customizable, I will be making sections for appetizers, side dishes and potlucks. The possibilities are endless! Thank you, Homemade by Carmona for the templates and inspiration to create what works for me! Now that you’ve seen what works for me when it comes to meal planning, check out what works for me when it comes to my family calendar! This is brilliant! I have been racking my brain on trying to come up with a system for meal planning. This is going to be a game changer. Thanks for sharing this great idea. Hi!! I am so excited to start meal planning/prepping! Thank you for such great ideas! 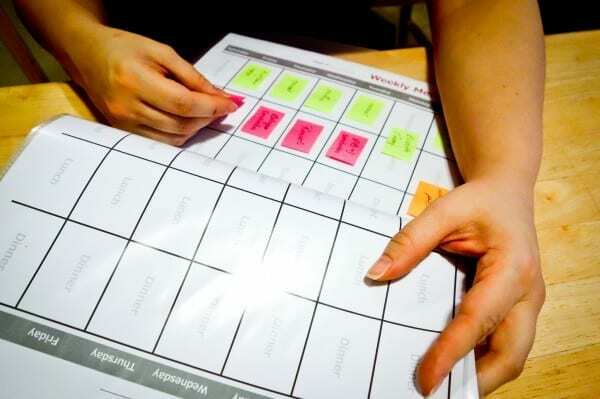 Do you have a printable of the meal planning guide templates that you made? Thank you in advance!! Do you have YOUR already customized meal planning guide, printable? Or in a PDF you could share? I had been trying a similar idea already but it wasn’t quite right and needed tweaking. 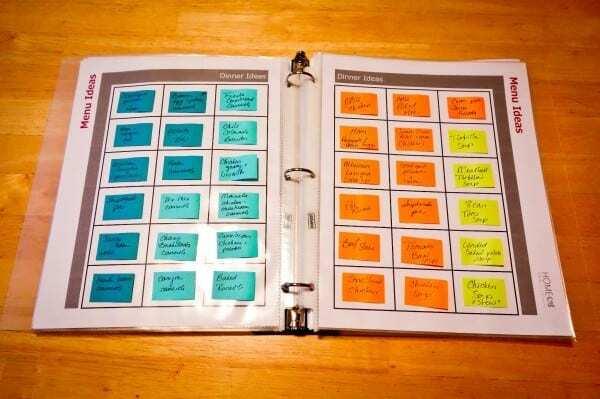 For one, my monthly calendar was too high and hard to reach My system was also one to use with post-it notes and move them back and forth like yours, only I really hadn’t figured out a place to put them when not in use. The ideas was there, just not all the logistics, like yours. I’ve reorganized my wall so its more accessible. I’m so excited to finally have a way to make this system better. I’ve not been a very good meal provider lately due to lack of organization. I’ts 7:00 am and already made up all my categories that I need. I ended up just making my own templates. Thank you soo soo much for the inspiration, Nicole!! So, explain further. You already have/know the recipes and therefore the post its are a tickler system? You choose your meal/recipe/menu from what you have on hand or according to whats on sale? 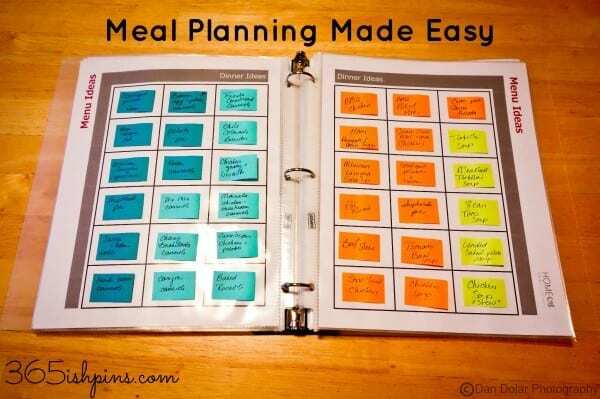 Do you coordinate meal planning with your shopping? Do you shop every week for the week or do you bulk shop and then plan accordingly? Thank you in advance. 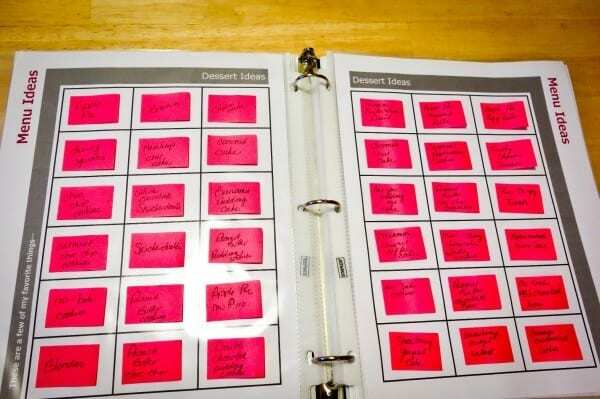 Yes- you populate the printable templates with recipe titles on the post-its. I’ll either choose recipes I always make and know completely (like tacos, or sloppy joes) or I’ll choose a recipe I want to try from Pinterest or a magazine. The post-it note just has the title of the recipe on it. If I need to refer back, I’ll search my Pinterest boards for that title. 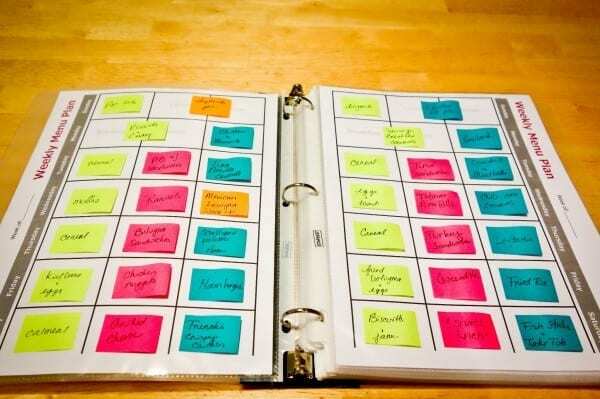 When it switches over to a new week (I shop and plan for two weeks as much as possible, but at the very least it’s one week) then I pull out the post-its for the recipes I want to make that week. Usually when I’m choosing the recipes, I’m working with what’s already on hand. That’s most often how I choose my menu-what do I already have? I will shop for exactly what I need and then also add a few pounds of whatever is on sale to keep in the freezer for a meal the next week. Does that make sense? Where can i find a download version. Clicking on the link doesnt work. Page not found. 🙁 can u email me a copy? [email protected]. thanks. So looking fwd to this.